Edradour probably comes from the Gaelic "eadar da dhabhar" - "between two waters". 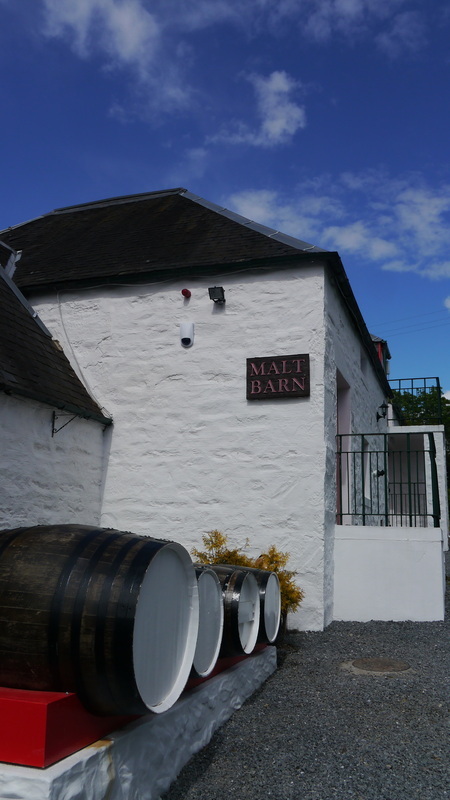 Website has extensive details of the history and distinctive features of the Distillery; together with details of visits and special tastings that can be arranged. 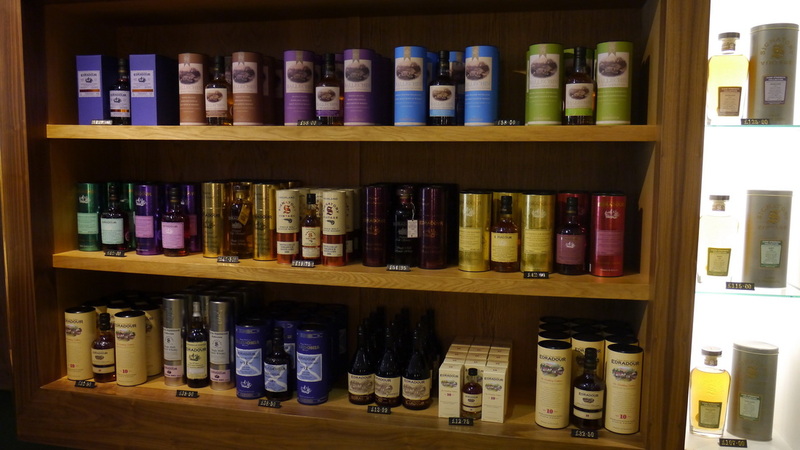 The online shop stocks a considerable number of Edradour whiskies, and also includes an archive of previous releases. 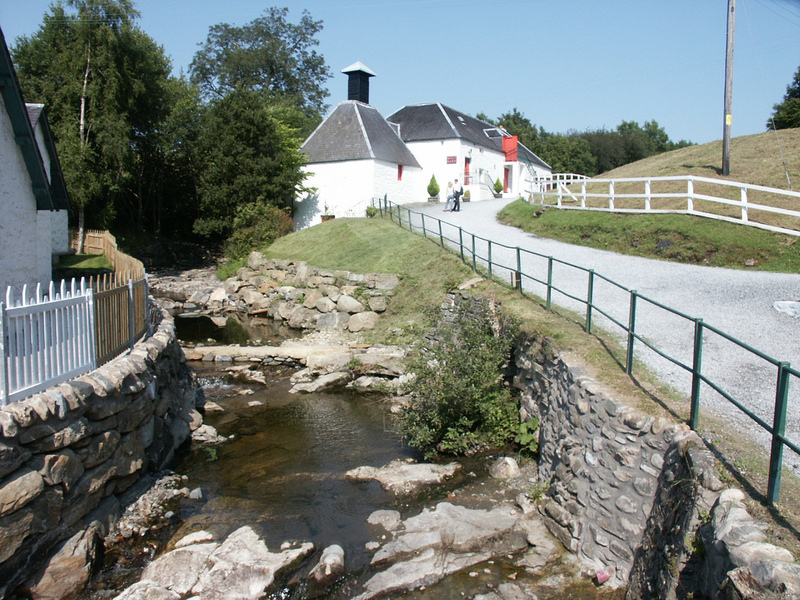 Edradour doesn't have a visitor centre in the traditional sense, but a number of the old distillery buildings have been converted for visitor use. Reception and the shop are in an old warehouse, the tours commence in the Tasting Bar, and then you are taken to the former maltings for a couple of drams before starting out around the Distillery. Cost is £10.00, but I think you still get to keep a Glencairn tasting glass. The charge is fairly recent to keep down the number of tourists - particularly coach parties, they say! 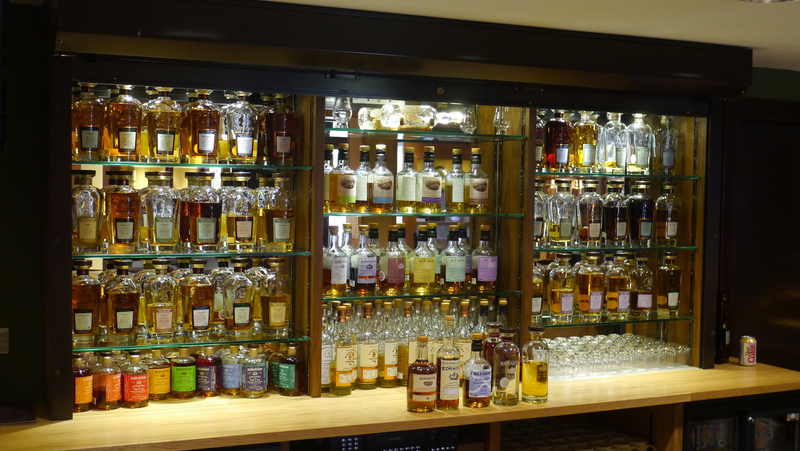 Drams of any other Edradour/Signatory whiskies are available in the Tasting Bar after your tour, at very reasonable prices. In the shop prices are not inflated - similar prices as at Robertsons of Pitlochry. Note for cyclists and walkers - the distillery won't keep hold of your bags while you take the tour, so don't take too much with you! Limited opening times between November and March - Mon to Fri; Open Sat too April to October. See website for full details. 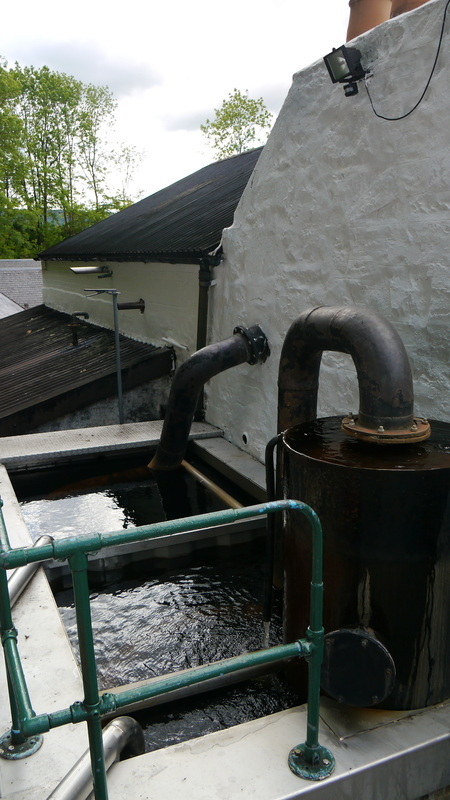 All the whisky making is under one (tiny) roof, with worm tubs outside acting as condensers. Unusually, Edradour bottle their malt on site, though unfortunately the bottling hall (in the car park across the road) is not part of the tour. The bottling hall was enlarged in 2015. Edradour is photographer friendly, though no flash photography permitted in the warehouse or production area. Distillery originates from 1825, but the current site wasn't built until 1837, at the same time a license was acquired. Originally named Glenforres, the distillery even took the suffix Glenlivet for a time despite being far from Speyside. On the back of dealings during Prohibition, the Distillery ended up with connections to the Mafia until 1976 - more on RMW & scotchwhisky.com. Following this Pernod Ricard bought the distillery in 1982, who first released it as a single malt. 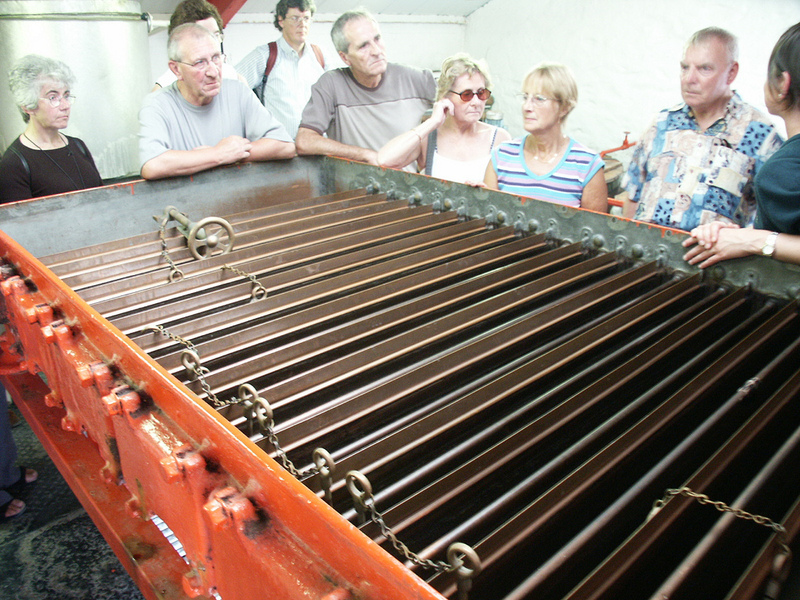 By the time it was sold to Andrew Symington in 2002, the distillery's reputation wasn't good, but he brought in Iain Henderson (formerly at Laphroaig) as manager, and the quality of the spirit has improved. It was also at this time that the peated Ballechin was first distilled. 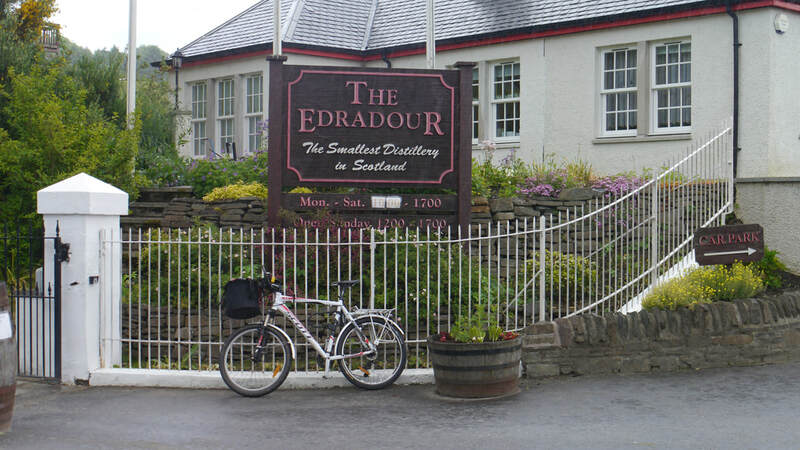 Edradour still claims to be the smallest distillery in Scotland despite the opening of Abhainn Dearg with an apparent capacity of 20,000 litres. 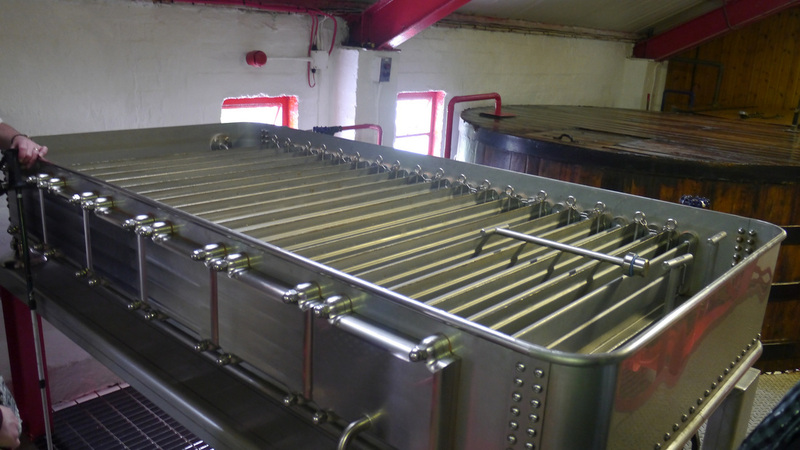 There's also Daftmill again reported to have a 20,000 litre capacity, though no Whisky has yet been released. There was Loch Ewe with a capacity of less than 600 litres per year, and now there are many new smaller distilleries operating or being built. They have also upped production, working 6 days a week instead of 5, so they can now produce 15 casks per week. 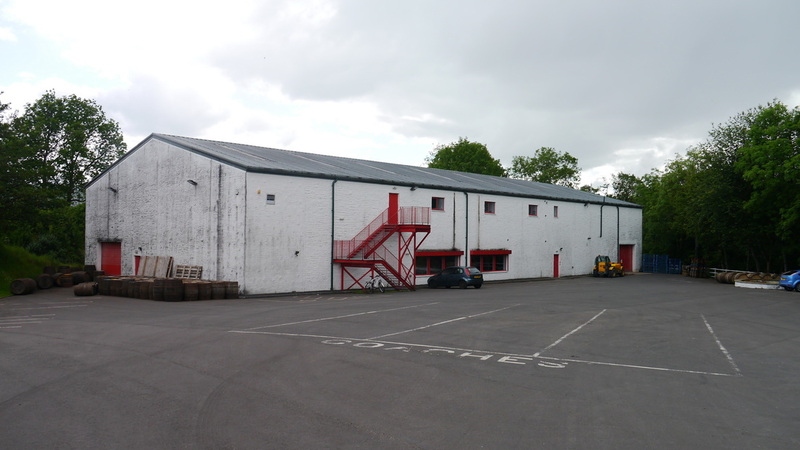 They will never be a big distillery, but they do have expansion plans. A considerable proportion of the cargo lost off Eriskay in 1941 when the SS Politician sank came from Edradour. Ballechin was the name of a now demolished distillery near Grandtully from 1818 until 1927. From Pitlochry - either South past Blair Athol Distillery on the A924, then left under the railway just before the A924 joins the A9, left again after about 300 yards, then 2 miles up the hill. Alternatively (signposted route), head out of Pitlochry on the A924 towards Balgowrie, through Moulin and Kinnaird. Where the A924 does a very sharp left turn, go straight on - the Distillery is about another half mile. Nearest station is Pitlochry (PIT) (14 miles) - Live Train Times. Ramps to Car park and through station building from Platform 1. Ramp to Armoury Road from Platform 2 - nearly a half mile trip from main station entrance - this entrance though shown on the station plan is not signposted either on Platform 2 or externally (if you're trying to find it look for the signal box). Edradour bottle a wide range of expressions despite their small capacity. The 10 year old (40%) is the basic product, but is supplemented by cask strength versions of both Sherry and Bourbon matured whisky, the Caledonia 12yo (46%); a range fully matured in various casks (at 46%); and various Straight from the Cask finishes. In addition, Edradour produces a peated malt, Ballechin (named after a distillery closed in 1927), again in a range of expressions. Edradour used to contribute to the official House of Lords blend produced by former distillery owner, William Whiteley. The only independent bottlings usually available are from the disillery's sister company Signatory. Photos on this page were taken by me. Click on photo to enlarge. 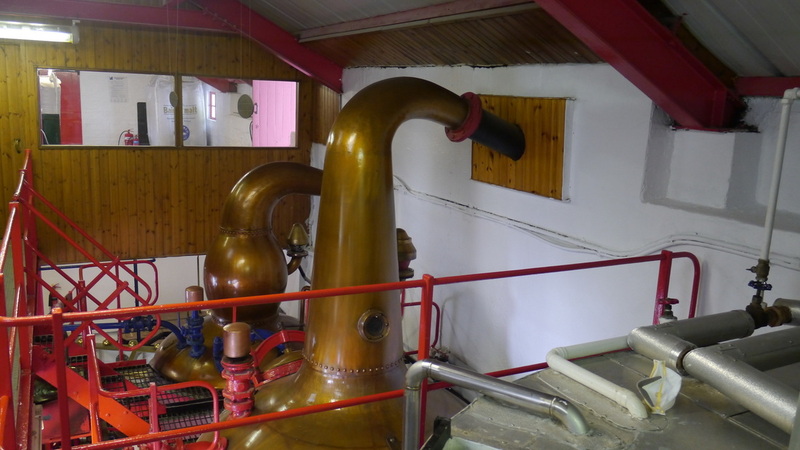 Full size versions of all my photos of Edradour Distillery will are available on Flickr.